Student-loan debt in the US continues to skyrocket. And at $1.2 trillion, it now now exceeds car loans and credit-card debt figures. And between 2001 and 2012, the average sticker price for tuition rose 46%, according to a report by the Federal Reserve Bank of New York, which adjusted its figure for inflation. More now than ever, it seems that college students must think carefully about choosing their college majors and the future earning power of their chosen degrees. 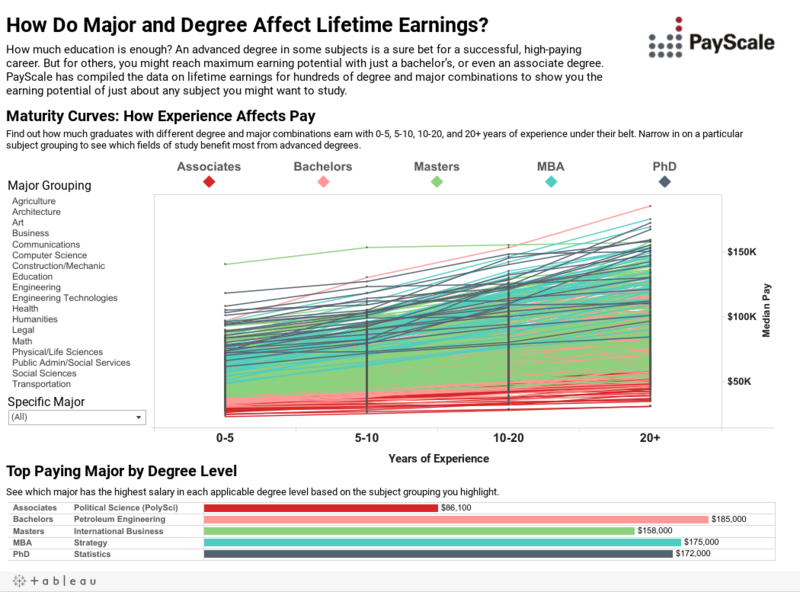 With that in mind, Payscale compiled data on lifetime earnings of different majors and degrees to show the future financial impact on a particular course of study. Take a look below to see where your major and degree lands among the group.